We're not talking about a major restoration, have been through enough of them. Instead we'll show you how to locate problem areas and ways to prevent further damage. Always be on the lookout for rot and address it as soon as possible. Teak decks are beautiful to look at and provide incredible traction when wet. Neglected they leak and the water penetration does more than soak your bunk. It's not fun replacing a deck core nor is it cheap. 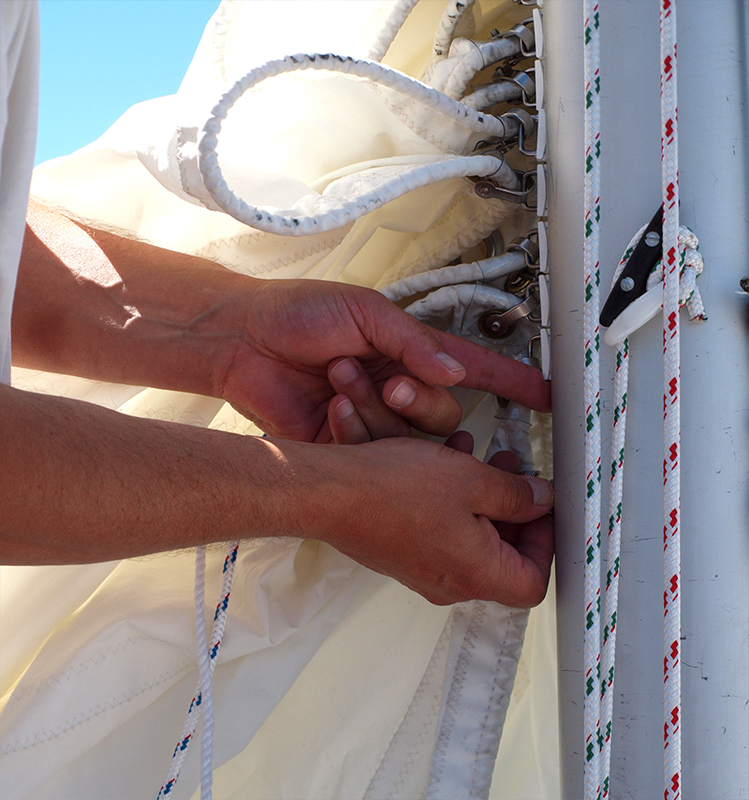 We'll make sure your deck seams are doing their job. Many older boats have had multiple owners who decided if they can wire a lamp a marine fuse panel can't be much different. We learned long ago there is a big difference. So, we check, double-check, and re-check every ABYC connection is correct. Not many things are more annoying (and destructive) as a leaking port. Sometimes it's nothing more than a gasket and other times they need to be removed, rebuilt, and reinstalled. Generally not too difficult, just takes practice and usually a lot of time. We seldom use the more exotic coatings as we are not set up for it. One-part urethanes and as of late, switched from spar varnish to Awlwood™ for brightwork. 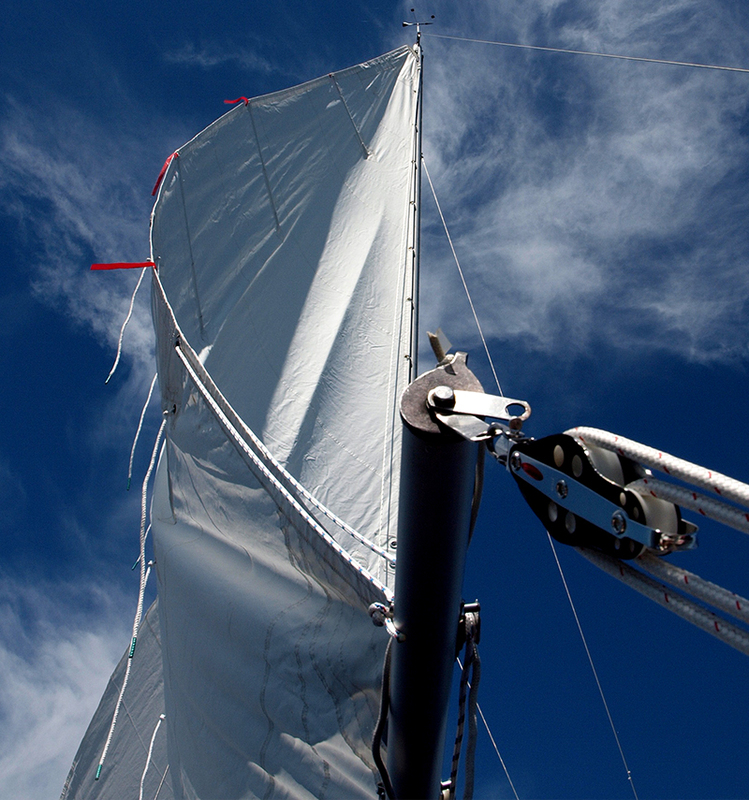 We try to use coatings which are easy to touch-up and relatively inexpense. 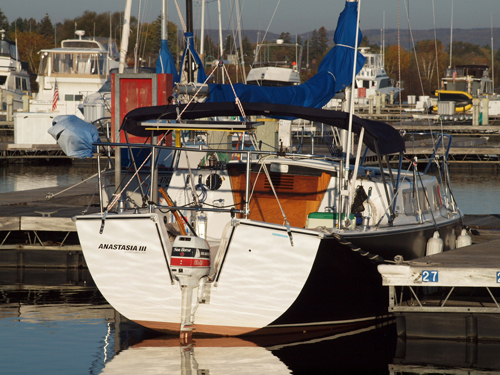 Spend your time on the water, let us take care of maintaining your boat. And, taking care of it is just paying attention, keeping it clean, and when a problem arises fixing it sooner than later. Simple really, we can help take away your pain. Call today. It's not like I was a certified surveyor back in '84. A little rot goes a long way, but then again bringing the Owens back from the wood pile was gratifying to say the least. Turned out beautiful - those admiring her thought she was fiberglass. One of our most fun restorations was a 1973 Aquarius A23. She was a mess - deck and cabintop recored, portlights rebuilt, fuel locker fabricated, bimini install, solar charger, just a lot of fun things. 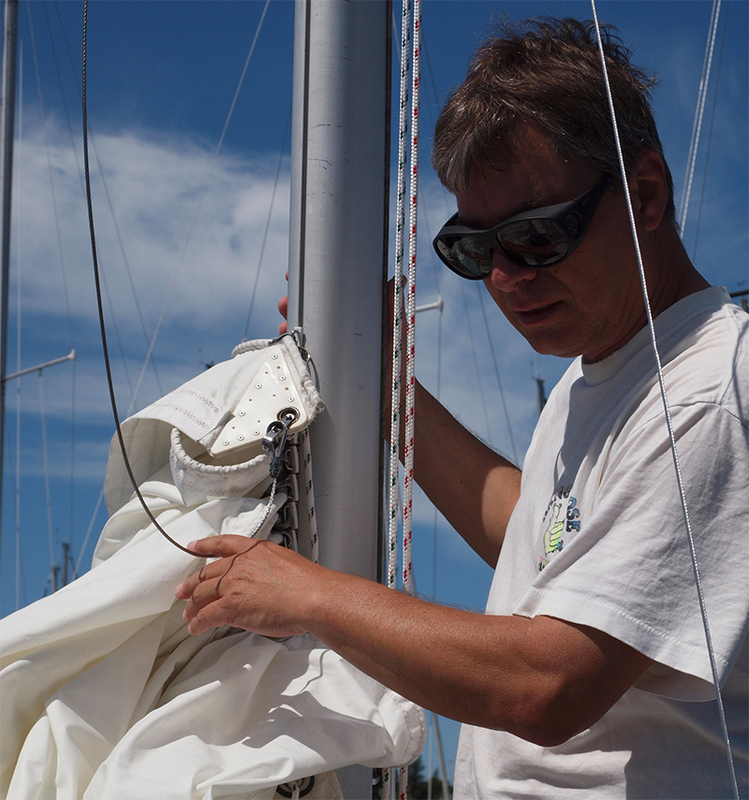 Sailed it a thousand miles a year - Joakim bought it. Took it from MN to his new home in Boston. He bought a pot for family lobster dinners and trailers her every where in Maine from Acadia National Park to Casco Bay. 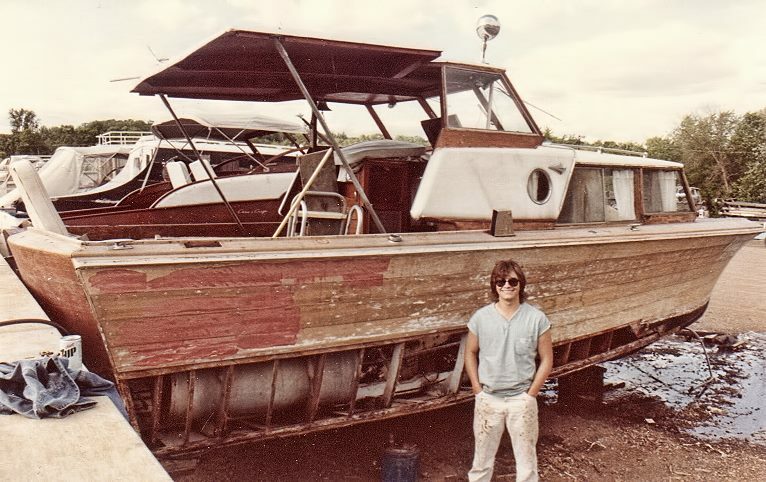 We have a number of classics in the process of refurbishing... we keep our eyes open for good boats we can buy right. Then we spend the hundreds of hours necessary to inspect and bring them back to about good as new... more often better than original. We enjoy our craft and maybe even more so helping other enjoy the water in comfort. 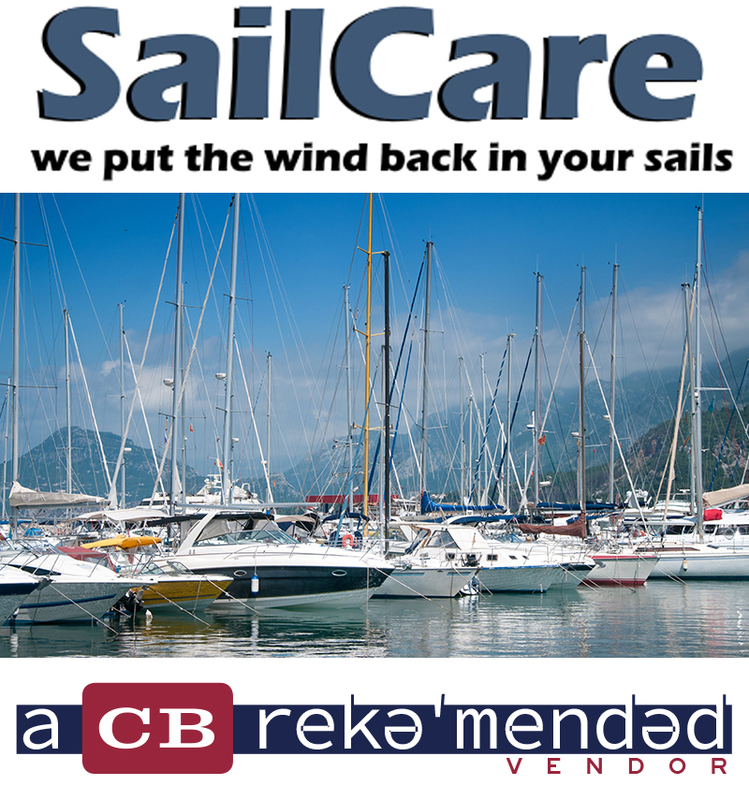 We will always do our best to give you an honest days work and we carry that attitude with us as we refurbish boats. 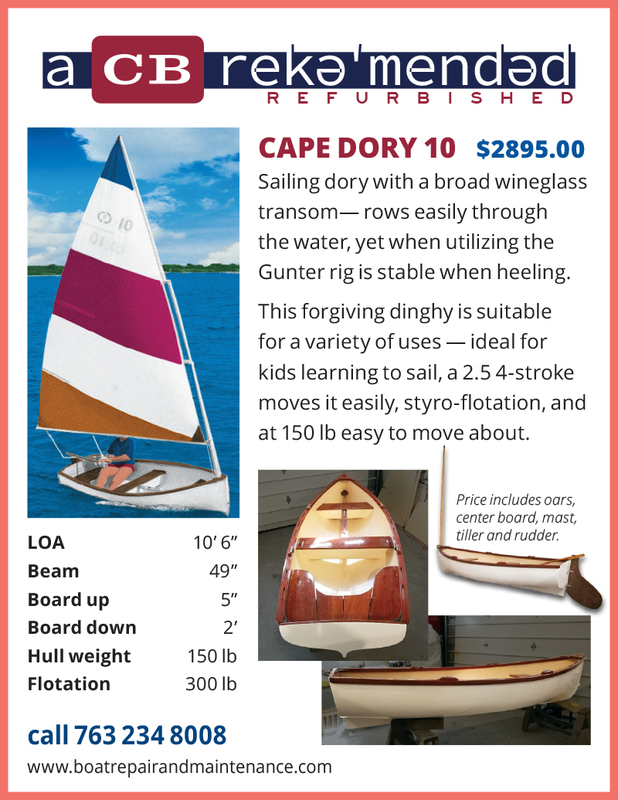 Sailing dory with a broad wineglass transom— rows easily through the water, yet when utilizing the Gunter rig is stable when heeling. This well cared for cruiser was bought as a retirement cabin but the owner recently upsized to a larger retirement home (Bertram 36). He was the third owner, paid $40,000 in 2009 and is asking only $22,000. 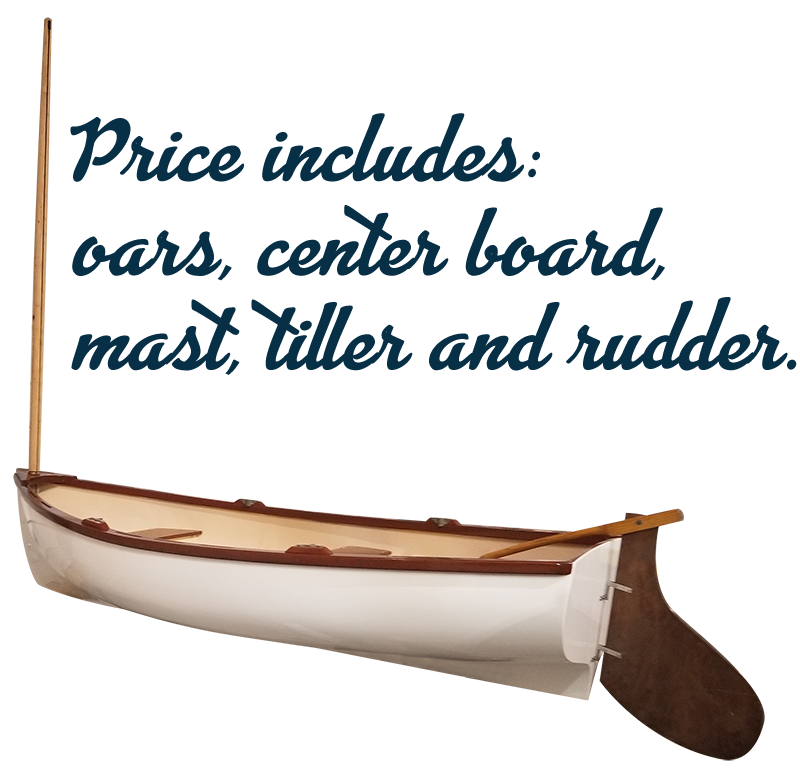 She comes complete with everything in great condition -- fenders, lines, barbecue grill. New bottom paint last spring. Currently in Duluth, across from lift bridge. Give us a call or check the Duluth, MN Craigslist for more photos. We'd like to talk with you about your boat or just about anything related. If you don't have the time or not sure what to do, give us a call, fill out the form below, or schedule an appointment on our contact page... let us take away your pain.